Fabulous, Fit & Fantastic Living book is now here! It's Official! It's finally here! 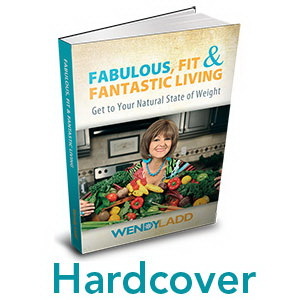 The new book, Fabulous, Fit & Fantastic Living, "Get to Your Natural State of Weight" is now available for your reading pleasure. If you want to learn how to feel more vibrant and alive, how eating an alkaline pH balanced lifestyle will help you fight off sickness and disease, or just want some delicious new pH recipes it is here for YOU. This book shares my journey about how I discovered, alkaline, pH eating, and it teaches you that through simple easy steps you can tweak the foods you eat for optimum health. Learn the best times to eat them and the proper balance, to keep you in a pH alkaline state. I share how I fought and won my battle with cancer through alkaline living. If I can help just one person from sickness and disease this book has been worth it. Spring is finally here and we can shed those layers of unwanted clothing so we can feel lighter, more alive and carefree. It's amazing how Spring naturally reconnects us with the earth and encourages us to live a healthier lifestyle. This month's video is about How to Eat and Shop Local. My featured guest is Stacey Fokas from Freshalicous. Stacey has been a great mentor in teaching me how to eat what is in season and how to connect with your local Farmer's market. Chapter 8 in my new book, Fabulous, Fit & Fantastic Living, "Get to Your Natural State of Wegiht" was Co-Authored by Stacey. You can find the list of what fruits & vegetables are in season on page 39. There is no healtheir way to eat than from the ground and you will find most of your Alkaline, pH balancing fruits & veggies at your local market. Today is International Women's Day so be sure to say thank you and celebrate the Women in your life who inspire you and make a difference. I think we should do this every day just not on this day. Be sure not to be one of those women who sees another womans success, and feels the need to talk about them behind their back and say bad things about them to hurt their future. Be the woman who saltues other women, holds the flag for them when they cross the winners line, and who claps and applauds them for being great, for being daring enough to go out and live their dreams. I applaud ALL women for being FABULOUS!